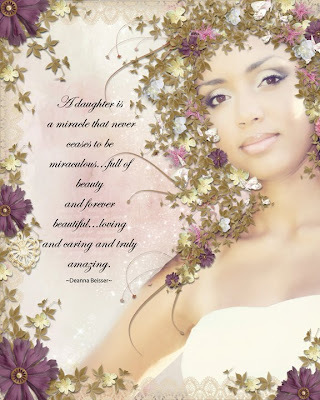 This is one of my FAVORITE pictures of my daughter!!! I was just playing around and this is what I came up with, but I'm not too sure if I like this piece??? Different....i guess! 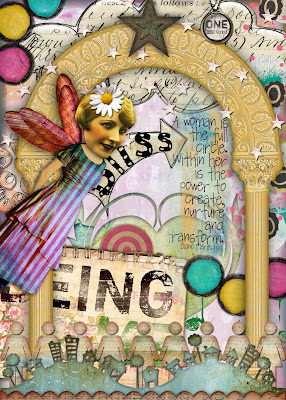 Elements & background paper from the kit "Being Me" by Studio Tangie & Studio Rosey Posey from Scrapbookgraphics. 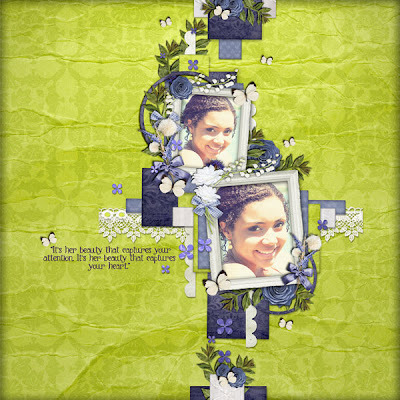 Credits: my layout using the new release collab kit "Morning Fresh" by "Creative Victorian Designs" and "Aimee Harrison". I have been SO excited to share with you some exciting news!!!! Recently, I became one of the newest Creative Team members for "Creative Victorian Designs". I am so happy and honored to be a part of this wonderful team! 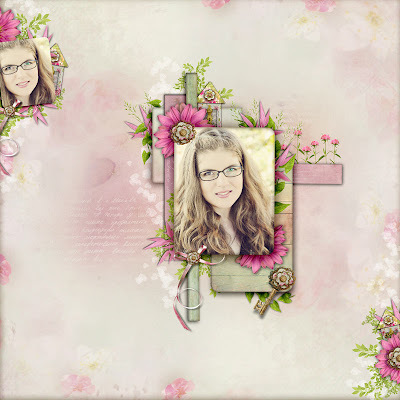 Netta from "Creative Victorian Designs" creates the most beautiful victorian/vintage kits around! 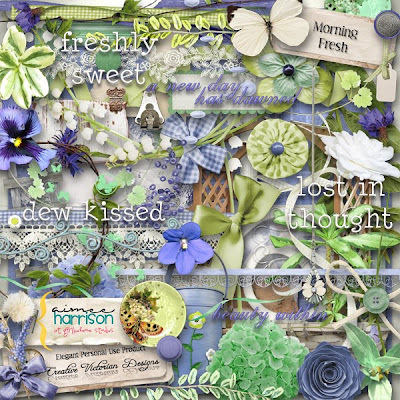 Netta and Aimee Harrison teamed up and created this beautiful collaboration kit called "Morning Fresh". This is a "MUST HAVE" kit! 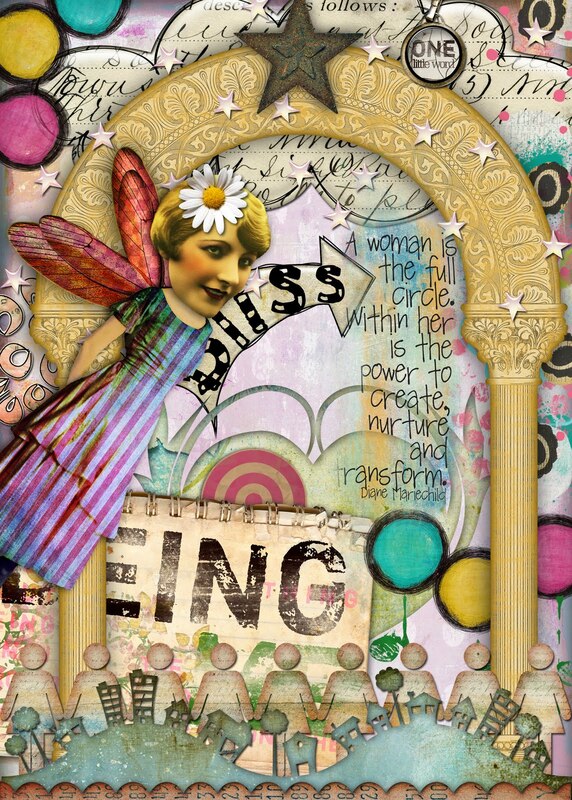 You can find "Morning Fresh" here at Creative Victorian Designs! 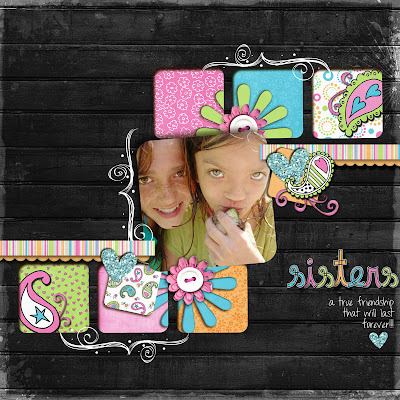 Frame, Paper, Borders by TumbleFishStudio from Etsy. 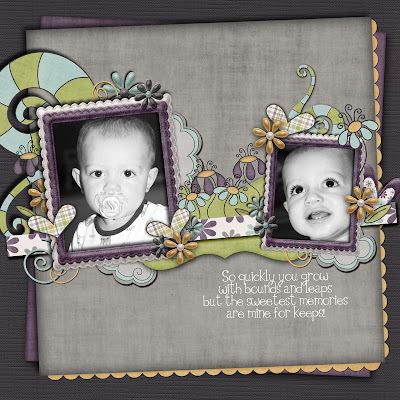 Template: Thaty Borges "Page Template 3"
This is the page I create for Kristy of her 2 adorable daughters! Look at the one kissing the frog! Hope you like it Kristy! 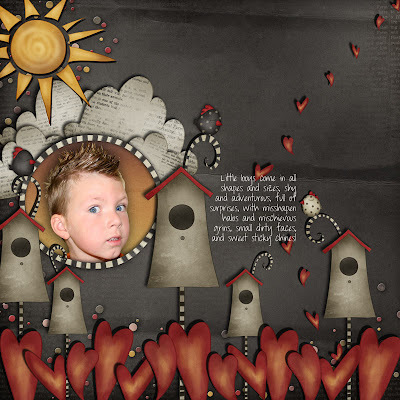 Look at this beautiful page that was made by Kristy from "Scrap N' Kristy". Thank you so much for wanting to do a RAK with me! I adore this page and will treasure it forever! Kits used: "Moments In Time" & "Someone Like You" by Mystique Designs from "7th Heaven". I just become brave enough to want to do some RAK's (random acts of kindness) with some other fantastic digital designers. Here is a page I made for Cheryl! I really hope you like it! 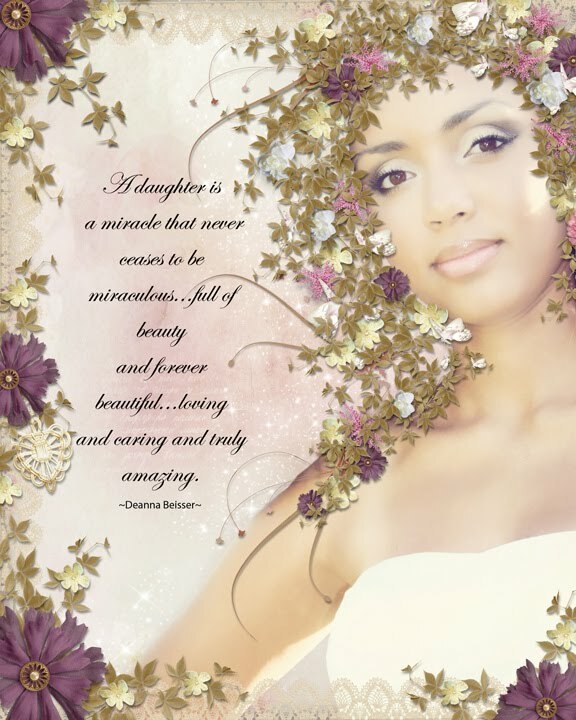 This is is her beautiful daughter "Olivia". 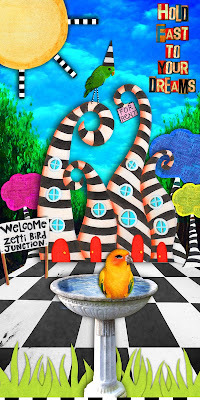 PLEASE check out Cheryl's blog. 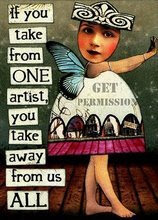 Her work is truly AMAZING! 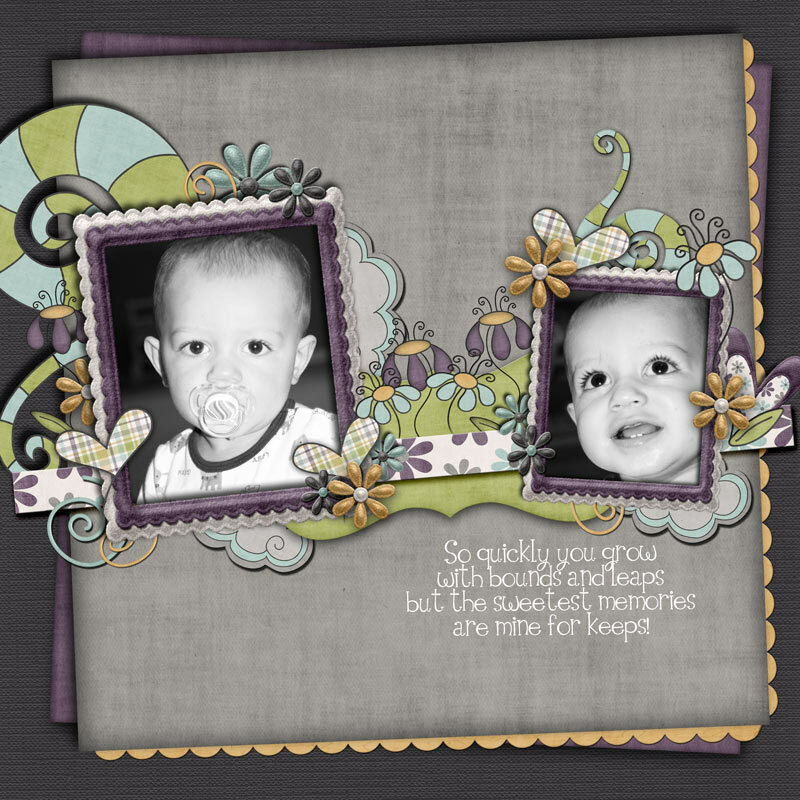 Her blog: "Domestic Goddess"
Kit: "Something Eggstra" by Irene Alexeena from ScrapOrchard. Font: "Throwing Hands Up In The Air"
This is my sweet little Noah!!! This is a RAK layout page I made for Christie from Scrap Orchard. Hope she likes it!